The Cloud 9 Waving Wand is great for all hair types, especially those with thicker hair. The wide barrel allows you to create loose or tight waves. A fashion week favourite, the Waving Wand is used by some of the biggest names in the hair industry to create runway-worthy looks! The Cloud Nine Waving Wand is ceramic curling wand featuring Cloud Nine’s one-touch temperature control and ceramic coated barrel. 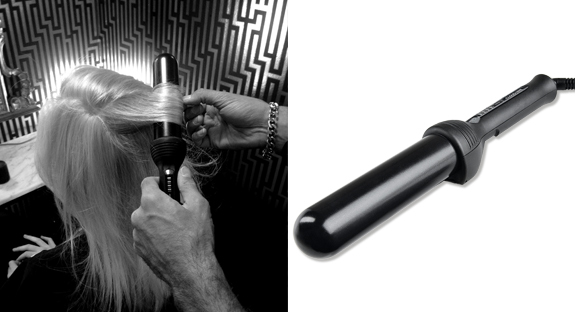 The Waving Wand is great for creating voluminous waves and curls for all hair types, especially long and thick hair. The wide barrel allows you to create larger curls and waves that you can either be loose or tight depending on how you wrap them around the barrel. Curls are left smooth and glossy with great bounce. The heat proof glove that comes with the Waving Wand gives you the freedom to create curls without the risk of burning yourself.